The YMCA is equipped with a 25 yd. by 6 lane wide pool ranging from 3ft. to 8.6ft deep. With all activities going on within the YMCA there is a pool schedule in order to better serve our members and participants. 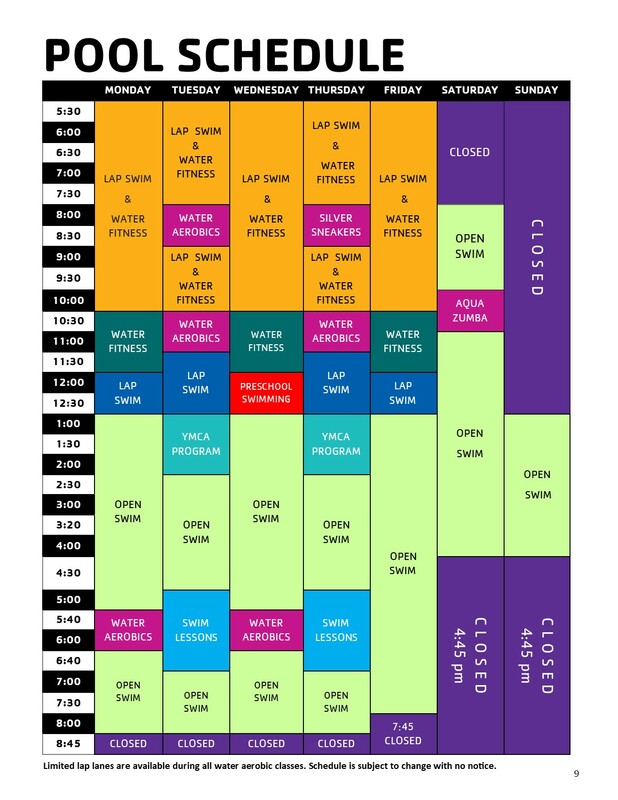 Please be aware of the pool schedule to better plan your use of the facility. Fall Pool Schedule begins September 4, 2018. *Pool schedule is subject to change at any time.